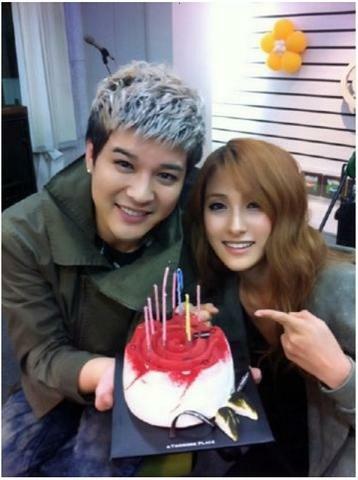 A picture of KARA’s Park Gyu Ri celebrating the birthday of Super Junior’s Shindong was recently released. In the picture, Shindong and Park are staring at the camera in a friendly pose. Shindong seems pleased with a cake on his hands, and Park is pointing at Shindong with her finger.